devorelebeaumonstre.com | Pittsburgh, PA | Fashion & Personal Style Blog by Stacey Belko: snow black. Normally when I get something new I throw it on right away because I'm like a 5 year old & can't contain my excitement. But I've been hoarding this dress for a few weeks now waiting for a combination of the right time/place/weather to wear & get photos of it. I'll definitely be packing it along in my bags when I head off to NY later this week. I love this dress it so simple yet stylish! i love it!i tend to do the same..with new shoes i walk around the house, sit on the bed wearing it all day long! OH MY, gorgeous photo's!! You are so beautiful. And love that maxi skirt together with the leather jacket. So, so cute! I love the look of black in the snow. very ethereal! Amazing look! Especially with the red lips!! perfect outfit. studs on the jacket is an brilliant idea! Love this outfit, you look absolutely amazing! supercool. nothing more to say. Woman in black. So cool!! Wow wonderful look!!! love your long dress. you've created such an awesome blog! seriously we love to come here and look at your outfits! 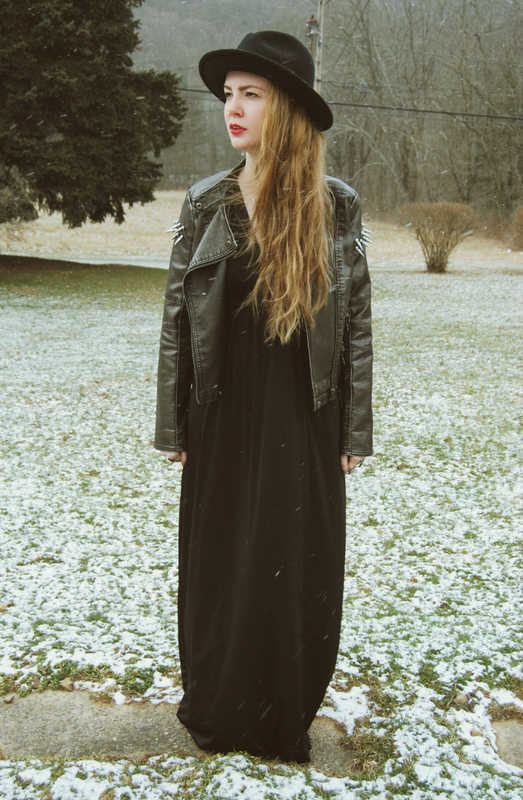 the leather jacket and the maxidress: there is no better combination! THE SNOW! So dreamy, love this look. Very Saint Laurent. Wowww, amazing look! Love your maxi dress! your entire outfit looks amazing! This looks so comfortably fabulous. Is that a thing? I feel like it has to be..
man i dont know how you held off...its pretty freaking awesome!!!!! Great look, love that dress! i LOVE LOVE that dress....and with the leather jacket, that hat and the red lips...stunning. really love this all black look esp. with the red lips! such porcelain, flawless skin too! 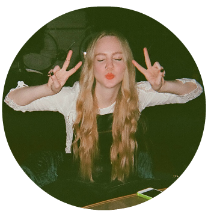 Amazing style, I'm in love with this blog! Wow, I love that black maxi dress. Amazing outfit, I love all black. So classic. This is such a feirce and relaxed look! I want your hat NOW!! wow, these pics are amazing! so pretty! Great blog! I can't wait to see more! Great oufit. Love the stud/spike detailing, unusual to see it a bit further down the arm... Normally it's right up on the shoulder. Think thats what makes it so great! This is a cool outfit. I really like the dress.